Conner was a great model during his session. He did such an amazing job, I was able to capture so many wonderful memories for his family to treasure of him as a newborn forever. Newborn photography is definitely one of those lifetime events that only happens once in your life – a time you can never ever get back no matter how much you wish you could freeze it or go back into time to enjoy it all over again. I can’t say it enough how very priceless newborn photographs truly are. 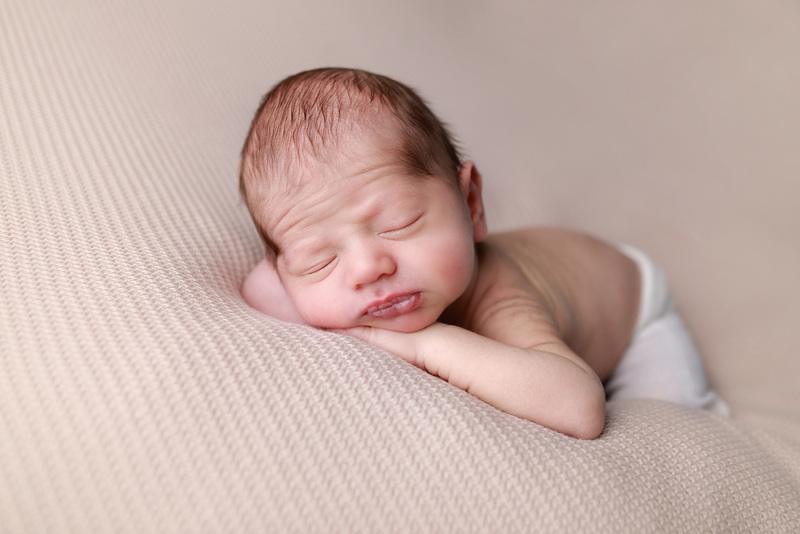 The newborn stage, although when you’re actually facing sleepless nights can seem to last forever, really and truly only lasts for a very short moment. Before you know if, your little one is cooing and crawling…..and then heading out the front door for kindergarten. Giving families memories I’ve been able to capture of their newborn to treasure for a lifetime means so very much to me. Sadly, it’s something I really don’t have myself so I can speak my emotions from my very heart. Other than those….well, not so adorable…..newborn photos the hospital took, that’s all the newborn photographs I have of my “babies”. Newborn photography wasn’t that popular when my oldest were born or even when my youngest was born only 8 years ago. What I wouldn’t give to have just one very nice image of my children as newborns to hang onto and remember all those tiny little details that are so quickly forgotten. Being able to give new parents galleries filled with many pictures of their newborns that features all those sweet little details that bring them back to the moment when they first meet their tiny little baby is such a wonderful feeling for me. I’m forever grateful to each and every one of my clients that have entrusted in me to capture these moments for them and their families to treasure for many of years.